A number which is only divisible by 1 and itself is called prime number. Numbers 2, 3, 5, 7, 11, 13, 17, etc. 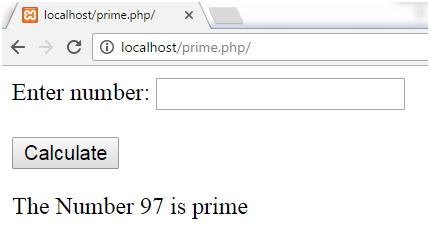 are prime numbers. It is a natural number greater than 1 and so 0 and 1 are not prime numbers. Here is the Program to list the first 15 prime numbers. We'll show a form, which will check whether a number is prime or not. On entering number 12, we get the following output. 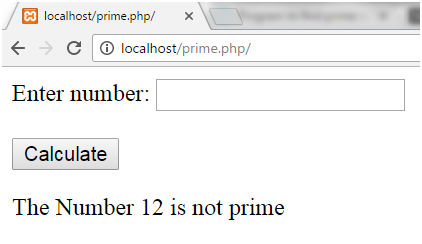 It states that 12 is not a prime number. On entering number 97, we get the following output. It states that 97 is a prime number.